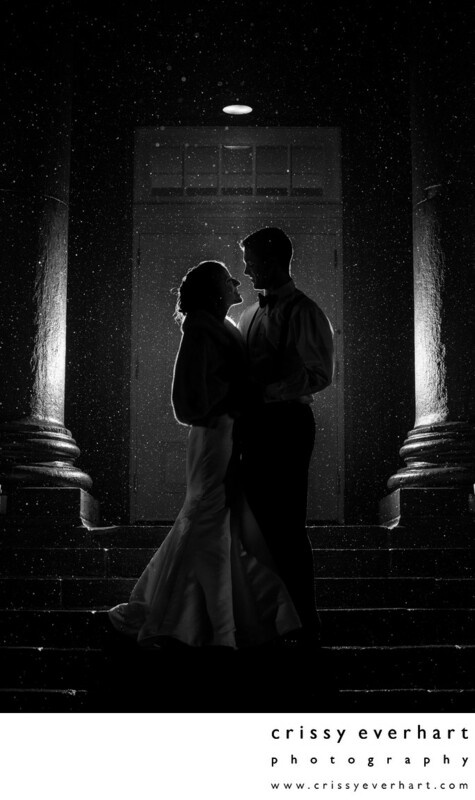 The front steps and columns at the Ballroom at Ellis Preserve in Newtown Squre make a perfect backdrop for wedding photos, day or night, rain or shine. This winter wedding was unusually warm, and rain drizzled for most of the day. We snuck out at the end of the night for a quick "good-bye photo" and I backlit the couple to show off the rain drops and make them a silhouette. The columns are accented with just enough light to frame the bride and groom, which makes this a great last page to their wedding album.